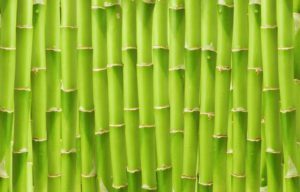 Hitachi Ltd. said it has developed a technology to utilize bamboo as fuel for boilers and biomass power generation. The new technology is expected to address a situation in which unused bamboo forests have been increasing due to decreased bamboo demand, a problem that has become serious mainly in the Kyushu region. Bamboo, which contains high amounts of chlorine and potassium, can damage combustion equipment or the environment when burned as it is. The new technology can be applied to other untapped materials, including bamboo grass, weeds and cedar bark. Hitachi will consider using such materials in future projects. 1. Bamboo has been used for eons for many applications, from a food source to a building material. What are some uses of bamboo in your country? 2. Why is the demand if bamboo decreasing in Japan? What are some changes that affect demand for bamboo?